While we are well known as All For Kids Party Hire, plenty of our products, entertainment and services are ideal for Geelong weddings and events. Planning a wedding or large function can be stressful, and details such as furniture, party hire equipment and photo booths are the last things you want to worry about. We can take this weight off your shoulders with our wedding party hire equipment. 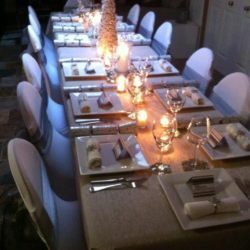 All For Kids Party Hire can supply, deliver and set up chairs, tables, and furniture linen, including table clothes and a variety of seat covers. There is a choice of black or white lycra chair covers, and a range of colours for seat sashes or lycra chair bands. All For Kids Party Hire also has you covered with Geelong tables and chairs hire for your wedding or event. Depending on the setting of your party or look you are after, we have chairs to suit nearly any occasion. Our range includes bistro chairs, banquet chairs and black folding chairs. Similarly with our tables, we offer flexibility with both trestle tables and round tables available. You don’t see many weddings or parties without a good photo booth anymore. And why would there be a celebration without a photo booth? Photo booths are a fun way for you and your guests to capture the magic of your big occasion. 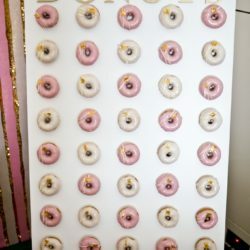 All For Kids Party Hire’s Geelong photo booth hire packages have all the added and optional extras to suit any wedding or event.